Part of a fantastic series that gets young readers reaching higher. Want to be on top? Climb the Reading Ladder! Pip’s class are setting free red helium balloons to celebrate their school’s 100th anniversary. One lands just down the road, and one turns up in the next town. 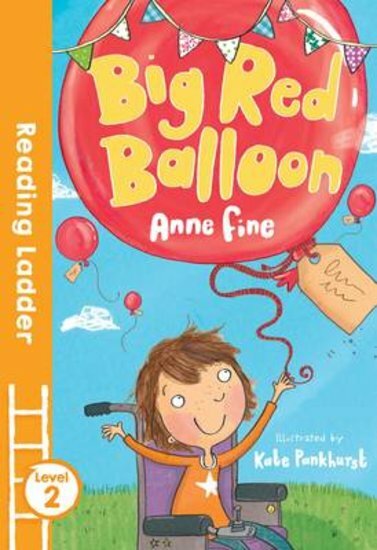 But Pip’s red balloon flies all the way to Buckingham Palace. And soon Pip gets a VERY special invitation to tea – sent by the Queen! 580L Lexiles are the global standard in reading assessment. They are unique as they are able to measure a child and a book on the same scale – ensuring the right book gets to the right child at the right time. 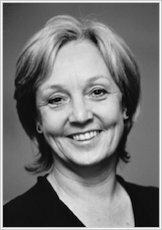 Anne Fine is a multi award-winning novelist, and was Children’s Laureate from 2001-2003. Her novels range from the wickedly funny Diary of a Killer Cat for young readers, to the provocative_Road of Bones_ for teenage readers. More about Anne: “When I was young, it never occurred to me that I might be a writer. I think I must have thought that books were born on the library shelves. But I was good at writing stories, and I had a good deal of practice. At school, I enjoyed languages most, and took French and Spanish, along with History, for A levels. That meant there was no room for English, and so for my whole life I have been able simply to read what I want when I want, and only for pleasure or interest. I suspect that this has been really important for the way I write, making it so much easier to think always of the reader. I studied Politics and History at University, and the interest in political issues shows up in many of the books. After university I taught in a girls’ secondary school for a year — exhausting! — and then moved with my husband to Oxford, where I worked as an Information Officer for Oxfam. Though I was only in this job for two years, it changed my attitudes to money, to ‘things’, and to what is truly important in life, for ever. In 1971 my first daughter was born. Unable to get to the library in a snowstorm to change my library books, in desperation I sat down and started to write a novel. Clearly this was the right job for me, for I have never stopped writing for more than a few weeks since. Who's Afraid of the Big Bad Book?